We are reckoned manufacturer, supplier and exporter of Ozonation Plants that are used to generate ozone on site by air. We offer the widest range of Ozone systems for any Ozone application. 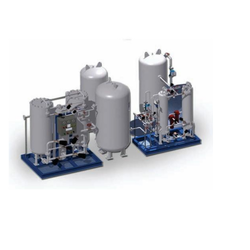 These Ozonation plants are use in various industries like food and beverages, hospitals, pharmaceutical and swimming pool for various applications. We manufacture these Ozonation plants on customized basis also to meet their specific requirements. 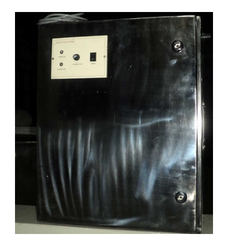 These ozonators are based on high frequency high density corona discharge principal. These ozonators gives high concentration ozone output up to 10% by weight. 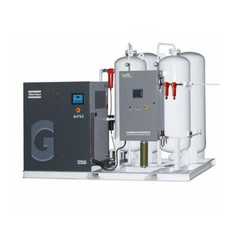 Our offered Industrial Ozonators with Air Compressor is manufactured using optimum quality components and modern technology in compliance with industry norms. In order to cater the demands of customers, this Ozonators is offered in various designs and sizes. We have emerged as market leaders in manufacturing, supplying and exporting Ozonators with Oxygen Concentrator 50 gm/hr. Our dexterous team of experts enabled us to provide customization facility to our valued patrons as per their needs and requirement. Customer can avail the facility of delivery at their premises within stipulated time. Our offered Ozonators is manufactured using optimum quality components and modern technology in compliance with industry norms. In order to cater the demands of customers, this Ozonators is offered in various designs and sizes. Our offered Ozonators with Water Cooling is manufactured using optimum quality components and modern technology in compliance with industry norms. In order to cater the demands of customers, this Ozonators is offered in various designs and sizes. 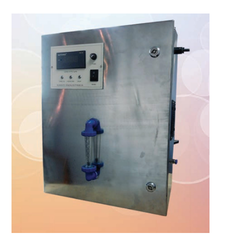 We have emerged as market leaders in manufacturing, supplying and exporting Economy Water Disinfection Ozonators. Our dexterous team of experts enabled us to provide customization facility to our valued patrons as per their needs and requirement. Customer can avail the facility of delivery at their premises within stipulated time. 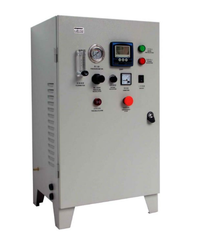 Our offered Industrial Ozonators with Oxygen Unit is manufactured using optimum quality components and modern technology in compliance with industry norms. In order to cater the demands of customers, this Ozonators is offered in various designs and sizes.